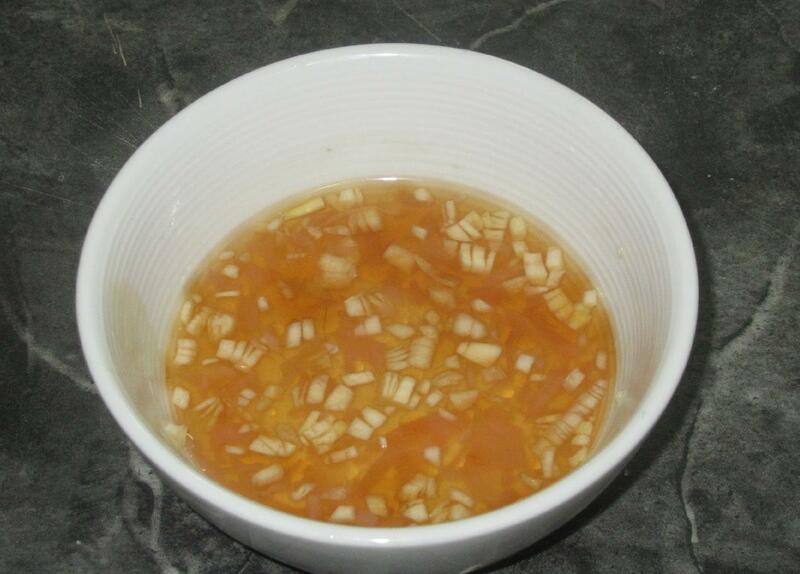 1/8 tsp Sesame Oil (optional). 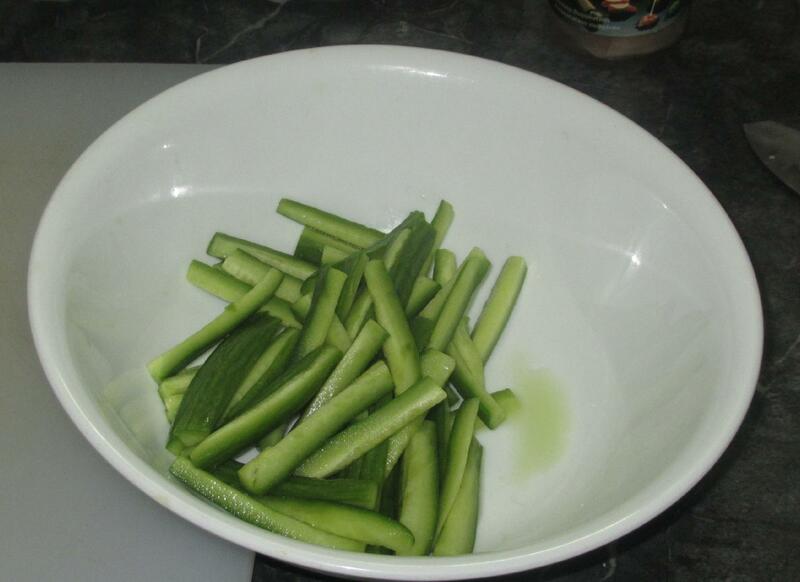 Toss the cucumber sticks with the salt and let sit for about 30 minutes or so until they throw off a little of their juice. 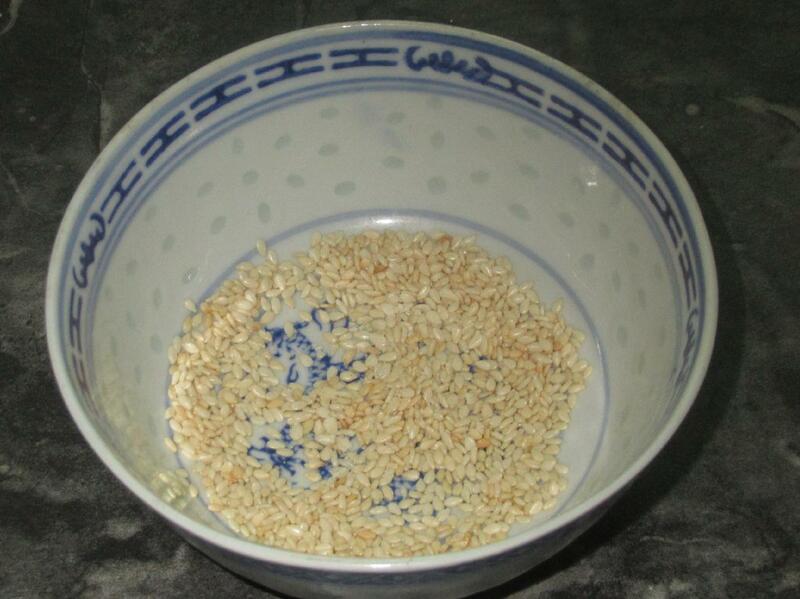 Toast the sesame seeds in a dry pan until they start to turn golden and release their aroma. Then crush them lightly and set aside. Mix together the Mirin (or substitute) along with the garlic, ginger and sesame oil and allow to sit for at least 30 minutes to let the flavors blend. 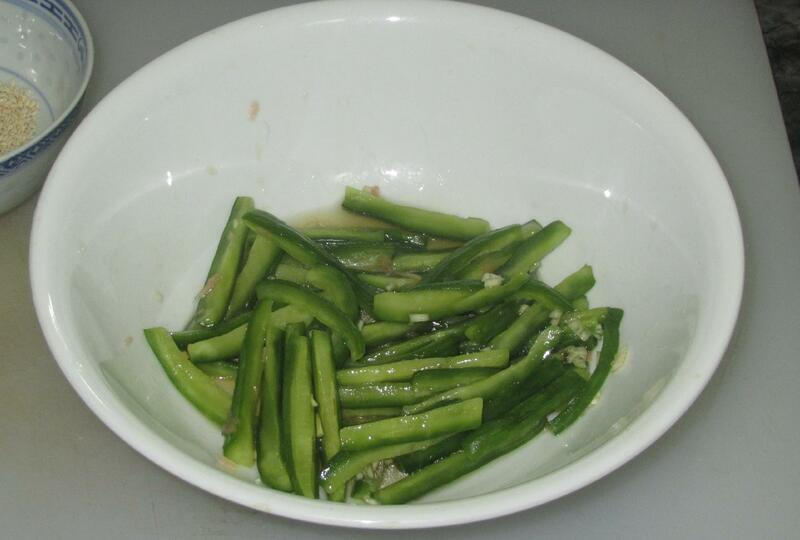 Finally, rinse the cucumber sticks and squeeze vigorously to expel as much liquid as possible then toss with the dressing and let sit for a further 15 minutes. When you are ready, toss in the sesame seeds and serve. I used a little Korean Chili Threads for garnish on the salad but anything along the same lines would suffice. Chopped red chili would be great for some presentations but on this occasion I served this dish alongside pork belly with red-oil and I didn’t want to be too repetitive. 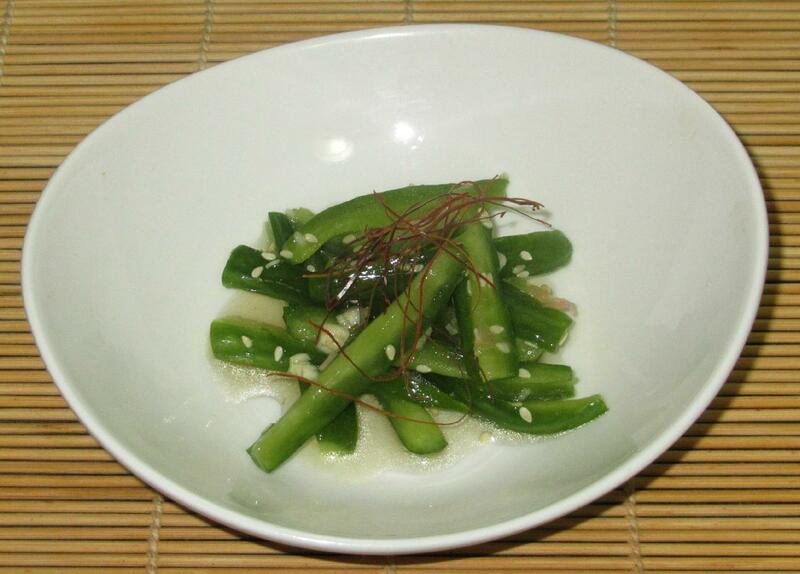 In any event, this salad was really delicious and will be a great accompaniment to all sorts of more substantial dishes…. 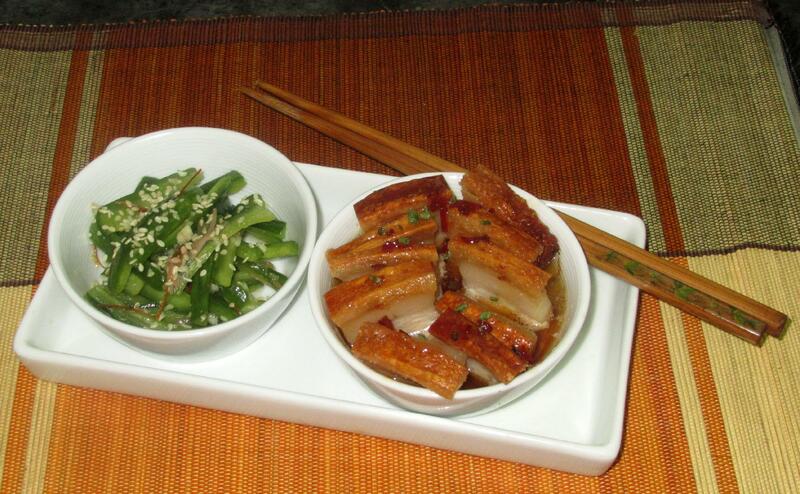 The cucumbers must have been the perfect accompaniment to the rich pork belly. It looks delicious; thank you for sharing!